Updated Monday January 9, 2017 by Spokane Valley Girls Softball Association. Be supportive but do not coach. Provide encouragement, empathy and transportation; help with the team jobs – but leave the coaching and instruction to the coach. Encourage your child to compete against herself. The ultimate goal of sports is to challenge oneself and continually improve – but judging improvement by winning and losing is an unfair and inaccurate measure. If your child plays her best and loses, help her feel like a winner. Help make the sport fun for your child. If your child does not enjoy what she is doing, investigate why. Is it the coaching? The pressure? Is it you? Keep in mind that in a competitive program, there should still be room for fun. Remember who is playing softball. If your child is playing softball to please you, she is in it for the wrong reason. Avoid pressuring her with your expectations, or using guilt or bribery to keep her involved. Your child is not her performance – love her unconditionally! Do not equate her self-worth with her game totals. If your daughter misses an easy play, do not respond with disgust, anger, or withdrawal of love. Remember the importance of self-esteem. Athletes of all ages and levels perform in direct relationship to how they feel about themselves. Do not assault your child’s self-esteem by degrading, embarrassing, or humiliating her. Teach your child never to view her opponent as the “bad guy.” Instead, talk to and make friends with the parents of your child’s opponent. Root for great performances and good plays by both sides – not just for the winner. Give the gift of failure. The most successful athletes are willing to take more risks than others (and therefore fail more frequently); they also use their failures as a positive source of motivation and improvement. Teach your child to view setbacks and mistakes positively, and you’ll give her the key to a lifetime of success. Stress process (skill, acquisition, mastery, fun), not outcome. Help your child get her focus off how important the contest is and onto the process at hand. 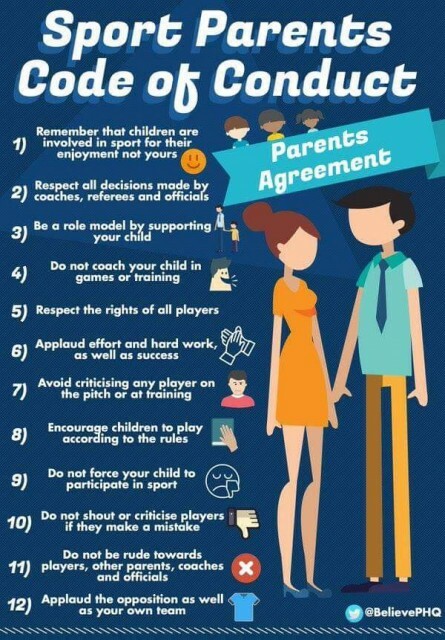 Supportive parents stress the game itself, not the final score. Avoid comparisons and respect developmental differences. Comparisons are useless, inaccurate and destructive because each child matures differently. Worrying about how another athlete is doing interferes with the child’s attempt to “stay within” herself. Teach you child to have a perspective on softball. Help her develop realistic expectations about herself, her ability, and her goals – without robbing her of her dreams.